FREE Pigeon Forge Coupons / Gatlinburg Coupons and more! Want the best Pigeon Forge coupons sent directly to your door for free? There's no catch, no timeshare pitches, or anything. Simply fill out the form below and get the latest issue full of coupons shipped to your mailbox absolutely free of charge...there's not even a shipping fee! It's completely FREE! Below you will find some of the Best Coupons in The Smoky Mountain Area. Simply fill out the form below and start saving today! Along with the Gatlinburg and Pigeon Forge coupons for lodging, restaurants, attractions, shopping, etc the Smoky Mountain Navigator includes area information, maps, calendar of events, and more. It's simply the best way to start planning and saving on your upcoming Pigeon Forge vacation or getaway! To get your copy of the Smoky Mountain Navigator full of coupons and area information, simply fill out the form below and then click the "Submit Request" button at the bottom. The latest issue should arrive at your doorstep within 7 - 14 Days. Enjoy the savings! I would like to receive more information from the above that I have selected. *By filling in the above boxes, your inquiry may be forwarded to our advertisers so they might fill your request for information and coupon offers for this area. Responses may be e-mailed or sent to you via U.S. Postal mail. Your information will only be given to our advertisers and no outside parties. 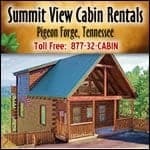 Our objective is to provide you with the best information and money saving offers for the Great Smoky Mountain area. If you do not agree with this procedure, simply do not fill in the boxes above. Once the boxes are filled in and submitted, you can only be removed from the offer list by contacting each individual advertiser that sends you information. Send me my coupon book!